Video: Justin Bieber And Hayley Baldwin Will Put A Ring On It! Home / Entertainment / Viral / Video: Justin Bieber And Hayley Baldwin Will Put A Ring On It! 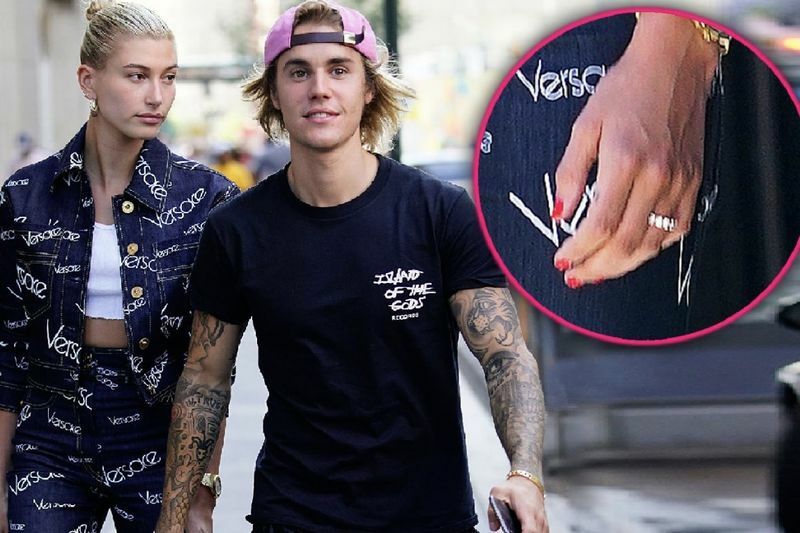 Justin Bieber and model, Hailey Baldwin, are set to walk down the aisle after Bieber proposed at a resort in the Bahamas on Saturday night. Witnesses reported to media outlets that guests were required to put down their phones when he popped the question. She admitted that her and Bieber had gone through a messy break up in 2016. After calling it quits, “we went through a long period of time when we weren’t friends,” In the last month they have been inseparable leading up to the engagement and were spotted making out in Brooklyn, they’ve also started matching their styles. Stephen Baldwin took to Twitter to express his excitement about the engagement tweeting: “Sweet smile on my face! me&wife (Kennya) Always pray 4 Gods will !! He is moving in hearts of JB&HB.” The enthusiastic tweet that since been deleted. “Let’s all pray for His will to be done Love you 2 so much !! !,” he wrote, adding the hashtags: “#Godstiming” and “#bestisyettocome.” He added a Bible verse at the end about husband loving their wives. Although, a source close to Gomez reported that she was shocked that Bieber and Baldwin were engaged as she thought that they weren't that serious. On the note of moving on, @BigNike tweeted, "All the girls who thought they’d have a chance with Justin Bieber are shook rn"
RIP to all the hearts that broke on Saturday!